Buying a home is a huge investment. Having a home inspection on that home before your close on the purchase transaction is an even bigger investment for a lot less money. The home inspection is an important process in the home buying experience and one that is very informational so please do not skip it. The last thing you want to do is buy a home in need of thousands of dollars in repairs that you were not aware of and did not negotiate for in its price. So, let’s go through the process. The buyer gets to choose the home inspector. As such, make sure you choose a reputable, licensed inspector. How do you find a good one? Ask your Realtor as they most likely have inspectors who are thorough and competent from past home inspections, research top inspectors on the Internet (sites such a Yelp can be very helpful), or ask your family and friends who they have used and liked. It a good idea to call an inspector and ask any questions you may have and even request recent referrals. 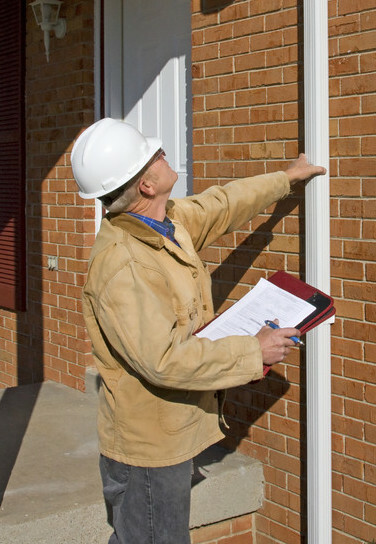 Once you have selected your home inspector, it is helpful to actually attend the house inspection and follow the inspector at the end of the inspection as he highlights and points out issues in the home. You may even pick up a tip or two about making your new home more energy efficient or how certain things work. It’s important to remember that no house is perfect…not even a new home. Believe it or not, inspectors even find repairs that are needed with a new home. Every home inspection seems to uncover conditions that need repair and/or potential safety-related concerns relating to the home. Mostly, the inspector is there to make certain the home is functioning as it should, checking items such as faucets and toilets to see if they leak, or the heating and air conditioning to ensure they are in good working order. If they see something that needs more attention they will recommend further inspections with a specialist. Home inspectors won’t address cosmetic items if they don’t impair the integrity of the home. They also do not do destructive testing so know there is always some risk of flaws (such as wiring and plumbing within the walls) that cannot be assessed. When you get your inspection report back, however lengthy it is, your inspector will generally include a summary sheet as one of the first pages. Pay particular attention to this section with all its vital information because these are the items that the inspector believes are code and safety issues that need immediate correction. The rest of the report are other issues that you should know about but the inspector may not find to be a priority at this point. Most repairs are normally not a deal breaker between buyer and seller and can be negotiated for resolution. So go forth and buy that new home because you know exactly what you are buying. If you have any questions about the home buying process or need additional information, please don’t hesitate to contact Lydia Gable at 818-383-4335 or asklydia@lydiagable.com.